South Korea will buy an additional 2.1 million tons of liquefied natural gas (LNG) annually from Qatar, in order to meet rising demand, the Commerce and Energy Ministry said Thursday. In a deal, S.Korea's state-run Korea Gas Corp. (KOGAS) has agreed in principle with Qatar's Rasgas to buy LNG for 20 years starting in January. For this. KOGAS, the world's largest single LNG buyer, plans to sign a final contract between Nov. 21-23, S.Korean energy ministry said in a statement. "It will be in addition to a 25-year deal between KOGAS and Rasgas for 4.92 million tonnes of LNG per year," said an official at the ministry's gas industry team. Rasgas is a joint venture between Qatar Petroleum and U.S. oil major Exxon Mobil . 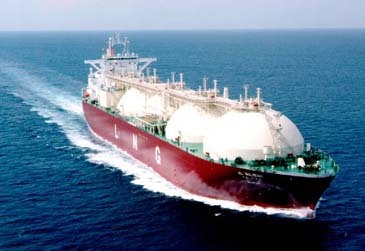 Qatar was the biggest supplier of LNG to South Korea, supplying 27 percent of South Korea's total LNG demand for the first 10 months of this year and followed by Oman and Malaysia with about 22 percent each, data from the ministry shows. "The global LNG market has turned into a seller's market, making it difficult to secure additional supplies, the ministry said in a release adding that the deal will help stabilize LNG demand and supply in South Korea. The country already imports 4.92 million tons of LNG a year from Qatar on a long-term contract. LNG from Qatar accounts for about 27 percent of South Korea's total imports, according to the ministry. Meanwhile, South Korea signed a deal with Oman to establish a joint venture for two 2 million kiloliter LNG storage facilities which store gas during the summer months for use in winter. The official said the third country could be any place, such as Singapore, but that there was about a 50 percent possibility for the unit to be located in Oman. The ministry said South Korea expected the construction to start at the end of 2007. South Korea, which does not have enough capacity to store LNG to meet winter demand, had signed an initial pact with the Oman government in June to jointly build and operate an LNG storage facility.